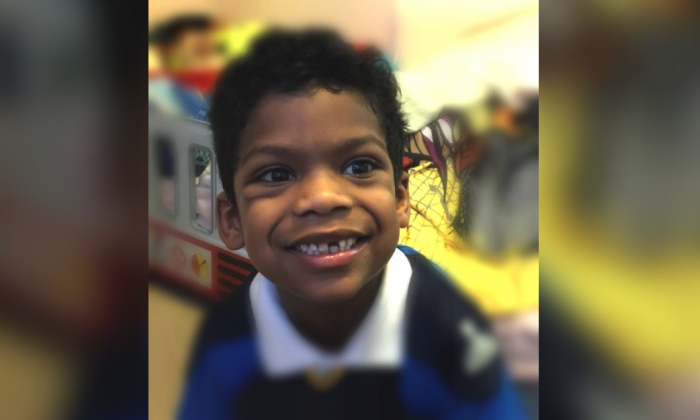 A 6-year-old boy who went missing in a snowstorm on Thursday, Jan. 4 has been located. Amari Ramson has been found uninjured after last being seen around 12:30 p.m. near the intersection of Bloomfield Avenue and 1st Avenue in Newark, New Jersey. Newark Public Safety Director Anthony F. Ambrose made the announcement on Thursday on behalf of the Newark Department of Public Safety. The child was found about four hours after authorities were notified he had gone missing, officials said, Pix11 reported. The boy’s family reported his disappearance to the authorities as local residents dealt with a massive snowstorm and falling temperatures. High winds and heavy snow barreled into the U.S. Northeast on Thursday, closing schools and government offices and disrupting travel as work crews scrambled to clear roads before plummeting temperatures turn snow into treacherous ice. Thousands of flights were canceled, snow plows and salt trucks were omnipresent on roads and highways, and commuters who braved the storm to head in to their jobs hoped they would be able to make it home safely as the storm intensified later in the day. Blizzard warnings were in place along the coast from North Carolina to Maine, with the National Weather Service forecasting winds as high as 70 miles per hour (113 km per hour) that may bring down tree limbs and knock out power. More than a foot (30 cm) of snow was forecast for Boston and coastal areas in northern New England. The storm is the product of a rapid plunge in barometric pressure that some weather forecasters are referring to as bombogenesis or a “bomb cyclone,” which brings fast heavy snowfall and high winds. The cold has been blamed for at least nine deaths over the past few days, including two homeless people in Houston. More than 3,000 airline flights within, into or out of the United States have canceled ahead of the storm’s arrival on Thursday. At New York’s three major airports and Boston’s Logan International, as many as three out of four flights were called off, according to tracking service FlightAware.com. Passenger train operator Amtrak was running reduced service in the Northeast, while mass-transit systems in major metropolitan areas, including New York and Boston, remained open. The Massachusetts Bay Transportation Authority invested extensively in equipment to remove snow and keep tracks from freezing after extensive disruptions during the winter of 2015, when Boston got about 9 feet (2.74 meters) of snow. Federal government offices planned to delay opening for two hours on Thursday, while state officials in Connecticut, New Jersey and Massachusetts ordered non-essential workers to stay home. In Maine, Governor Paul LePage ordered state offices closed for the day. The snowstorm brought a break in extremely cold temperatures that have gripped much of the region since Christmas, frozen part of Niagara Falls, played havoc with public works and impeded firefighting in places where temperatures barely broke 20 degrees Fahrenheit (-6.7 Celsius). Some 65,000 homes and businesses in the Northeast were without power early on Thursday, though that number was expected to rise as the storm intensifies across the region. That raised fears that people would be left without power and heat on Friday and during the weekend when temperatures are forecast to drop sharply. Schools were ordered closed in New York, many parts of New Jersey, Boston and elsewhere throughout the region. The bombogenesis phenomenon occurs when a storm’s barometric pressure drops 24 millibars in 24 hours. As a result, the accumulation of snow and winds intensifies, which can cause property damage and power outages. Part of U.S. 13 at the Chesapeake Bay Bridge-Tunnel in Virginia was closed due to high winds early on Thursday, while state transportation departments throughout the region reported dozens of delays due to deteriorating road conditions. Late on Wednesday, a baggage car and two sleeper cars on an Amtrak train traveling from Miami to New York, with 311 passengers aboard, derailed as it was slowly backing into a station in Savannah, Georgia. No one was injured, an Amtrak spokesman said.